Following is a summary of key federal disaster aid programs that can be made available as needed and warranted under President Obama's major disaster declaration issued for Nebraska. The man accused of killing a soldier outside an Army recruiting station may face the death penalty. Also, first lady Michelle Obama welcomes home sailors at Naval Station Norfolk. First lady Michelle Obama visited Naval Station Norfolk Friday to welcome home sailors from the USS Eisenhower carrier strike group and USNS Comfort. General David Petraeus paid tribute to the Marine Corps in a speech Thursday in Arlington, Virgnia. The Post 9/11 GI Bill will take effect Saturday and with it comes many questions. Army Chief of Staff General George Casey was on hand Thursday to watch graduating Soldiers at Fort Jackson, South Carolina. Commander of U.S. Central Command, General David Petraeus, honored Marines Thursday at the 3rd Annual Marine Corps Association Foundation dinner. DNU Flash - Yokosuka Sailors receive education benefits training by a Department of Veterans Affairs representative. DNU Flash - Naval Medical Center San Diego goes green by implementing Environmental Management System. DNU Flash - Naval Station Newport, R.I., holds dedication ceremony for the Lt. Michael P. Murphy Combat Training Pool. DNU Flash - Gen. David Petraeus praises USS Bainbridge (DDG 96) Sailors for their heroism in rescuing Maersk Alabama captain Richard Phillips. DNU Flash - Headlines from around the fleet: Navy releases new information on Department of Defense Blue to Green Program; Marine Corps reaches first term enlistment quotas for fiscal year 2009. The visible wounds of war often remain painful even after they've healed. Admiral James Stavridis' new position as NATO's Supreme Allied Commander is keeping him busy on the road. The U.S. Navy successfully shot down a ballistic missile over the Pacific Ocean. The Commander of U.S. and NATO forces in Afghanistan traveled to the northern province of Kunduz Thursday to meet with German troops and local Afghan officials. ADM Michael Mullen talks about his recent visits downrange and the focus on reducing and eliminating civilian casualties in Afghanistan. Fort Belvoir, VA, will be the home of the military's first joint hospital stateside. The President signs Korean War Veterans Act. Also, a new web site helps troops and families. WASHINGTON, D.C. -- The head of the U.S. Department of Homeland Security's Federal Emergency Management Agency (FEMA) today announced that federal disaster aid has been made available for Maine to supplement state and local recovery efforts in the area struck by severe storms, flooding, and landslides during the period of June 18 to July 8, 2009. Following is a summary of key federal disaster aid programs that can be made available as needed and warranted under President Obama's major disaster declaration issued for Maine. Construction is ongoing at Fort Belvoir for what will be the first joint military hospital located stateside. A NATO spokesman says the Taliban's recently issued "Code of Conduct," aimed at projecting a more positive image, directly contradicts its actions. The Defense Department is using the popularity of social neworking sites Facebook, Twitter, and YouTube to connect with the world's virtual communities. SEATTLE, Wash. -- The Federal Emergency Management Agency (FEMA) urges residents and business owners to take extra precautions when returning after wildfire-caused evacuations. Dennis Hunsinger, FEMA Acting Regional Administrator for Alaska, Idaho, Oregon and Washington warns that unseen dangers may linger long after the flames die down. TALLAHASSEE, Fla. -- Although the deadline for individuals and business owners in Volusia County to register for disaster assistance has passed, the federal government continues allocating funds to help survivors recover from the severe late-May storms, flooding, tornadoes and straight line winds. BILOXI, Miss. -- Federal Emergency Management Agency employees at its Area Field Office in Jackson are pitching in to help two food banks replenish their shelves. The Senate Armed Services Committee met on Thursday to hear from Congressman John McHugh, President Barack Obama's nominee for Secretary of the Army. DNU Flash - Naval Support Activity Souda Bay, Crete, holds suicide intervention training. DNU Flash - Fleet Activities, Sasebo, stresses the importance of individual augmentee Sailors. DNU Flash - USS Gettysburg (CG 64) returns to its homeport of Naval Station Mayport, Fla.
DNU Flash - USNS Richard E. Byrd (T-AKE 4) crewmembers take time to regroup in between missions for Pacific Partnership 2009. TEXAS CITY, Texas - Hurricane Ike's estimated 13.5-foot storm surge in Orange County, Texas, caused extensive damage throughout the county, including the Bridge City area. Now, a nearly $4.2 million grant from the Federal Emergency Management Agency (FEMA) will help the Bridge City Independent School District replace the severely damaged Hatton Elementary School. TEXAS CITY, Texas -- The state of Texas and the city of Houston will receive more than $10.7 million in federal grants to recoup their costs for measures to protect lives and property during Hurricane Ike, the Federal Emergency Management Agency (FEMA) announced Monday. Hardin and Galveston counties also were awarded FEMA grants totaling more than $16.7 million for debris cleanup. DNU Flash - Naval Sea Services Command conducts an annual inspection aboard the museum ship USS Salem (CA 139). 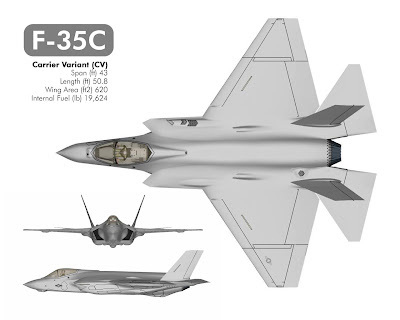 DNU Flash - Headlines from around the fleet: The Navy will christen Pre-Commissioning Unit Jason Dunham (DDG 109) in Bath, Maine, August 1; Lockheed Martin unveils the Navy's first stealth fighter. The U.S. Coast Guard has reportedly called off its search for as many as 79 Haitians missing after a boat capsized near the Turks and Caicos Islands. USS Jason Dunham (DDG-109) will be christened on August, 1st, 2009. The Navy's newest Arleigh Burke-class guided-missile destroyer is named after the corporal Jason L. Dunham. Thought his short life he received the following medals and commendations: Medal of Honor, Purple Heart, Combat Action Ribbon, Navy Meritorious Unit Commendation, Marine Corps Good Conduct Medal, National Defense Service Medal, Iraq Campaign Medal, Global War on Terrorism Service Medal and Navy Sea Service Deployment Ribbon. 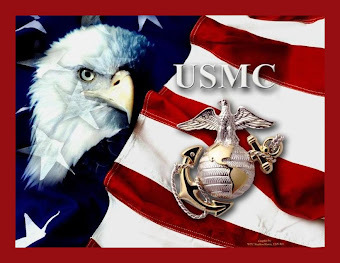 For conspicuous gallantry and intrepidity at the risk of his life above and beyond the call of duty while serving as Rifle Squad Leader, 4th Platoon, Company K, Third Battalion, Seventh Marines (Reinforced), Regimental Combat Team 7, First Marine Division (Reinforced), on 14 April 2004. Corporal Dunham's squad was conducting a reconnaissance mission in the town of Karabilah, Iraq, when they heard rocket-propelled grenade and small arms fire erupt approximately two kilometers to the west. Corporal Dunham led his Combined Anti-Armor Team towards the engagement to provide fire support to their Battalion Commander's convoy, which had been ambushed as it was traveling to Camp Husaybah. As Corporal Dunham and his Marines advanced, they quickly began to receive enemy fire. Corporal Dunham ordered his squad to dismount their vehicles and led one of his fire teams on foot several blocks south of the ambushed convoy. Discovering seven Iraqi vehicles in a column attempting to depart, Corporal Dunham and his team stopped the vehicles to search them for weapons. As they approached the vehicles, an insurgent leaped out and attacked Corporal Dunham. 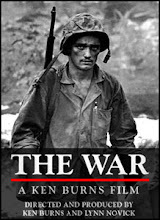 Corporal Dunham wrestled the insurgent to the ground and in the ensuing struggle saw the insurgent release a grenade. Corporal Dunham immediately alerted his fellow Marines to the threat. Aware of the imminent danger and without hesitation, Corporal Dunham covered the grenade with his helmet and body, bearing the brunt of the explosion and shielding his Marines from the blast. In an ultimate and selfless act of bravery in which he was mortally wounded, he saved the lives of at least two fellow Marines. By his undaunted courage, intrepid fighting spirit, and unwavering devotion to duty, Corporal Dunham gallantly gave his life for his country, thereby reflecting great credit upon himself and upholding the highest traditions of the Marine Corps and the United States Naval Service". Link to SecNav speech in the naming ceremony. Lockheed Martin rolled out the first of the Navy's new Joint Strike Fighters during a ceremony Tuesday in Fort Worth, Texas. Friends and family members were on hand Wednesday as aviators returned to Naval Air Station Oceana. Defense Secretary Robert Gates wrapped up his trip to Iraq Wednesday with a vist to Erbil in Iraqi Kurdistan. More details have appeared in the Brazilian press on the indigenous Acauan (Falcon) SMK (Smart Kit) bomb guidance kit first exhibited at the Latin American Aerospace and Defense (LAAD 09) exhibition in Rio de Janeiro in April. An article in the O Estado de Sao Paulo newspaper on 19 June described the SMK as the result of research by the Brazilian Ministry of Aeronautics' Aerospace Technical Command (CTA) in Sao Jose dos Campos (Sao Paulo State). The House Armed Services Committee heard testimony Wednesday concerning psychological stress in the military. Also, rising unemployment is helping the military find more quality recruits. SEATTLE, Wash. --The U.S. Department of Homeland Security's Federal Emergency Management Agency (FEMA) today authorized the use of federal funds to help Washington State fight the Union Valley Fire burning in Chelan County. SEATTLE, Wash. -- Sustained record-breaking temperatures have raised wildfire hazards throughout the Pacific Northwest. With wildfires burning in Alaska, Idaho, Oregon and Washington state, FEMA Acting Regional Administrator Dennis Hunsinger encourages at-risk residents to prepare for the worst, stay informed on local conditions and evacuate if instructed to by fire or emergency management officials. The House Armed Services' Military Personnel Subcommittee heard testimony Wednesday concerning psychological stress in the military. Bill Carr, the Undersecretary of Defense for Military Personnel Policy, says rising unemployment rates are helping the military find more quality recruits. WASHINGTON, July 29, 2009 - The Defense Department remains committed to meeting President Barack Obama's one-year timeline to close the detention center at Guantanamo Bay, Cuba, the Pentagon's top lawyer said yesterday. "A bipartisan cross section of distinguished Americans has called for the closure of the Guantanamo Bay detention facility, and has done so for a period of years," Jeh C. Johnson, the Defense Department's general counsel, said before the Senate Judiciary Committee. "The president imposed a deadline on us for closing Guantanamo Bay, and we remain committed to meeting that deadline, and we're confident we'll get the job done." Two interagency task forces made up of personnel from the Defense, State, Justice and Homeland Security departments have been reviewing dispositions of detainees currently being held at Guantanamo Bay and the general detention policy there to determine the best practices for prosecuting the detainees in civilian court. For the past six months, "these task forces have worked diligently" to collect the necessary information for a comprehensive review of the U.S. detention policy and the status of detainees held at Guantanamo Bay, Johnson said. The interagency group assigned to reviewing the cases has made recommendations to approve the transfer of more than 50 detainees to other countries. Reform also has taken place to amend policies within the Military Commissions Act of 2006, Johnson said. Johnson said Obama's administration feels the Senate has identified the issues needed for reform, and that officials are working side by side with Congress to make further changes. "The Department of Justice and Defense Department were happy that the language was amended to more closely reflect the Classified Information Procedures Act, so that classified information in military commissions prosecution is treated in a manner [and] in a way in which it's treated in federal civilian courts," Johnson said. The new policy under the National Defense Authorization Act proposes changes that ban in-court use of statements obtained by cruel interrogation methods, which Johnson said will go a long way to enhance the nation's national security and the credibility of military commissions. "It is our basic view that the [National Defense Authorization Act] identifies virtually all of the elements we believe are important to further improve the military commissions process," he said in his written testimony. 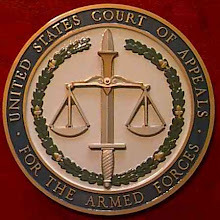 "We are confident that through close cooperation between the administration and the Congress, reformed military commissions can emerge from this effort as a fully legitimate forum -- one that allows for the safety and security of participants [and] for the presentation of evidence gathered from the battlefield that cannot always be effectively presented [in civilian courts]." Johnson also addressed the issue of Guantanamo detainees who cannot be prosecuted in civilian courts but still pose a threat to U.S. national security. Detention of enemy forces captured on the battlefield during war is "an accepted practice under the law of war, to ensure that they not return to the fight," he said. For this category of people, a thorough process of periodic review must be carefully evaluated and justified, he said, echoing Obama's May 21 address at the National Archives here. "This president believes that, if any detention of this sort proves necessary, the authority to detain must be rooted firmly in authorization granted by Congress," he said. DNU Flash - Service members and civilians celebrate diversity and honor the late Vice Adm. Samuel Gravely in Washington, D.C.
DNU Flash - Kadena Air Base, Okinawa holds a seminar for those looking to pursue a career after the military. DNU Flash - The 2009 Sergeant Major symposium is held in Washington, D.C.
DNU Flash - USS George Washington (CVN 73) explosive ordnance disposal technicians train with the Australian Police Force during exercise Talisman Saber. DNU Flash - Headlines from around the fleet: The Navy conducts a Personnel Support Detachment Poll; USS Hawaii (SSN 776) arrives at its new homeport of Naval Station Pearl Harbor. In January, incoming US President Barack Obama announced that the controversial Guantánamo Bay detention facility would be closed by January 2010. Eight months later, the exit strategy appears to have shifted, with Jeh Johnson, a lawyer at the Department of Defense, telling a Senate committee on 10 July that some detainees could be held indefinitely. The Navy will christen the newest Arleigh Burke class guided-missile destroyer, Jason Dunham, Aug. 1, 2009, during a 10 a.m. EDT ceremony at Bath Iron Works, Bath, Maine. Cmdr. M. Scott Sciretta, born in South Amboy, N.J., is the prospective commanding officer of the ship and will lead the crew of 276 officers and enlisted personnel. The 9,200-ton Jason Dunham is being built by Bath Iron Works, a General Dynamics company. The ship is 509 feet in length, has a waterline beam of 59 feet, and a navigational draft of 31 feet. Four gas turbine engines will power the ship to speeds in excess of 30 knots. Additional information on Arleigh Burke class destroyers is available online at Destroyers - DDG. Defense Secretary Robert Gates visits Iraq. Inspector General's Office releases report on electrical deficiencies investigation. The Commander of NORAD and U.S. Northern Command says the U.S. military can not delay its ability to defend the United States against any threat. July 28, 2009 – 2:01 p.m. The military will need to come up with $60 billion in savings over the next five years to pay for new priorities to be set by the Defense secretary, a top Pentagon official said Tuesday. The order from Defense Secretary Robert M. Gates is based on an assumption that there will be no real growth in defense budgets over the next five years, a radical departure for a department whose budgets have increased more than 80 percent since 2001. Pentagon officials say new spending priorities will be informed by an ongoing review of the nation’s military posture, known as the Quadrennial Defense Review. The review is a deep analysis of the overall structure of the military, meant to guide overall planning and program decisions. One of the driving factors so far in the evaluation is the prospect that defense budgets largely will be static in fiscal 2011 through fiscal 2015, said David Ochmanek, deputy assistant secretary of defense for force transformation and resources. In late August, the military services will submit their budgets to the Pentagon leadership, which will use those figures to negotiate with the White House Office of Management and Budget, he said. Pentagon planners hold out hope that more money could be forthcoming. The $60 billion in offsets will be directed toward research and procurement accounts, Ochmanek said. July 28, 2009 – 12:24 p.m. The Senate Judiciary Committee approved the nomination of Sonia Sotomayor to the Supreme Court on a nearly party-line vote Tuesday, teeing up a Senate confirmation vote next week. The committee voted 13-6 to approve the nomination in the same cavernous hearing room in the Hart Building in which Sotomayor’s confirmation hearing took place two weeks ago. South Carolina Republican Lindsey Graham joined all 12 Democrats on the panel in voting for Sotomayor. “It is with enthusiasm and hope that I am going to vote in favor of this historic nomination,” committee Chairman Patrick J. Leahy , D-Vt., said before the vote. If confirmed as expected, Sotomayor will be the third woman and first Hispanic to serve on the high court. She will succeed retired Justice David H. Souter , a member of the narrowly divided court’s liberal bloc. U.S. Pacific Command has updated its strategy to emphasize partnership, readiness and presence. Senate panel approves Sonia Sotomayor's nomination to U.S. Supreme Court, setting up confirmation vote by full Senate. All Democrats Senators (12) and one Republican Senator (Lindsey Graham) votes in favor of Sotomayor. Defense Secretary Robert Gates made an unannounced trip to Iraq on Tuesday. SOUTH CHARLESTON, W. Va. -- The heavy storms, flooding and mudslides of early May caused a great deal of destruction in West Virginia. Many homes and businesses were damaged, and some individuals were unable to work. But the losses that are most difficult to measure are the ones that destroy a person's peace of mind. JEFFERSON CITY, Mo. -- The Disaster Recovery Center (DRC) currently open in Fredericktown will transition to a Disaster Loan Outreach Center (DLOC) on Monday, Aug. 3. BILOXI, Miss. -- Nearly 2,000 children in Mississippi's lower six counties know a little more about preparedness thanks to the FEMA in the Classroom program. JEFFERSON PARISH, La. -- The Federal Emergency Management Agency (FEMA) and the Louisiana Recovery Authority (LRA) recently announced a $7.2 million grant to fund an elevation project that will raise 40 homes in Jefferson Parish. OKLAHOMA CITY, Okla. -- Disaster assistance provided to those affected by Oklahoma wildfires now exceeds $2.9 million, state and federal emergency management officials announced today. The Post 9/11 GI Bill is about to take effect, and with it comes many questions. There's a new policy on releasable information regarding enemy casualities in Afghanistan. DNU Flash - Seabees improve building structures in Tonga. DNU Flash - Navy divers in Sasebo use a Mk-21 diving helmet during annual training. DNU Flash - Naval Support Activity Bahrain Sailors participate in a water basketball competition. DNU Flash - USS George Washington (CVN 73) Sailors start a surface warfare training team. DNU Flash - The 48th annual Interservice Rifle Championships are held in Quantico, Va.
DNU Flash - Headlines from around the fleet: The namesake of Pre-Commissioning Unit Gravely (DDG 107) is honored on Capitol Hill; Pre-Commissioning Unit New York (LPD 21) succesfully completes acceptance trials. After nearly 30 years of strained relations, the United States and Libya may now partner against the very issue that severed diplomatic ties years ago -- terrorism. The Army has unveiled Phase Two of its Anti-terrorism Strategic Plan. The new post 9/11 GI Bill will replace the current Montgomery GI Bill starting August 1st. Secretary of Defense Robert Gates is visiting a number of Middle Eastern countries this week. President Obama calls for U.S. and Chinese cooperation to meet the challenges of the coming century. Also, Defense Secretary Robert Gates discusses the threat of a nuclear armed Iran. Secretary of Defense, Robert Gates, says Jordan, along with Israel, supports the United States' diplomatic efforts concerning Iran's nuclear ambitions. The focus of Army modernization is to make brigade combat teams better right away. OAKLAND, Calif. -- Residents and business owners of Alameda County, Calif. have less than two weeks to purchase flood insurance at the best possible rates before the U.S. Department of Homeland Security's Federal Emergency Management Agency's (FEMA) new National Flood Insurance Program (NFIP) local rate maps go into effect. BISMARCK, N.D. -- Only two weeks remain for homeowners, renters, and business owners who suffered damages from spring and summer severe weather and flooding to apply for disaster assistance. JEFFERSON CITY, Mo. -- As a result of the severe storms, tornadoes and flooding May 8 – 16, President Obama signed a disaster declaration for the state of Missouri. The declaration makes federal disaster assistance available to Missourians, but accessing such assistance can be hindered by misinformation. Below are some answers that may help clarify common misconceptions about disaster assistance available from the Federal Emergency Management Agency (FEMA). CHICAGO, Ill. -- Representatives from the U.S. Department of Homeland Security's Federal Emergency Management Agency (FEMA), in conjunction with the Minnesota Department of Natural Resources (MNDNR), will be hosting a Flood Risk Information Open House on Wednesday, July 29, 2009, from 5:00 p.m. to 7:00 p.m. at the Rice County Government Services Building (Conference Room 3), 320 NW 3rd Street in Faribault. MARION, Ill. -- State and local agencies and certain private non-profit organizations in some southern Illinois counties have very little time left to apply for federal disaster assistance. On August 1st, the Post 9/11 GI Bill will replace the current Montgomery GI Bill. The Department of Defense has developed a department-wide Morale, Welfare and Recreation survey. President Barack Obama is calling for the U.S. and China to work together. Alabama veterans of the Afghanistan and Iraq wars will soon be able to get license plates recognizing their service. DNU Flash - Retired World War II veteran returns to Sasebo, Japan. DNU Flash -USS Harry S. Truman (CVN 75) conducts missile exercises. DNU Flash - USS George Washington (CVN 73) participates in Talisman Saber 2009. DNU Flash - Adm. John C. Harvey Jr. relieves Adm. Jonathan Greenert as commander of U.S. Fleet Forces Command. DNU Flash - Naval Support Activity Souda Bay, Crete holds a fundraiser for Sailors wanting to attend this years Navy Birthday Ball. 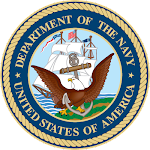 DNU Flash - Headlines from around the fleet: The annual Commander in Chief's Award for Installation Excellence ceremony is held at the Pentagon; Adm. John C. Harvey Jr. relieves Adm. Jonathan Greenert as Commander of U.S. Fleet Forces Command. The New Mexico National Guard will participate in a nationwide terrorism prevention exercise with state, federal and local authorities. Secretary of Defense Robert Gates met with Israeli Prime Minister Ehud Barak to discuss the threat of a nuclear armed Iran. Five people were killed when a suicide bomber detonated his explosives during a funeral service in western Baghdad Sunday. The Army announced the activation of the 3rd Infantry Brigade Combat Team, 1st Armored Division out of Fort Bliss, Texas. Bandmembers of 3 Doors Down discuss their song "Citizen Soldier" and experience entertaining the troops. Secretary Gates meets with Prime Minister Maliki. Adm. Mullen speaks with young leaders. President to present Medal of Honor. Making Brigade Combat Teams better right now - that's the focus of Army modernization. Divers say a WWII bomber discovered in the deep waters of a southern California reservoir is in one piece - but buried in sediment at the bottom of the lake. Veterans returning from Iraq and Afghanistan are lobbying congress for reforms of Veteran's Affairs. The House Armed Services Committee met Friday to discuss reformation of the Military Commissions Act concerning detainees. The Chairman of the Joint Chiefs of Staff spoke to potential leaders of tomorrow at the Pentagon Friday. A Miami-based Coast Guard law enforcement team confiscated $55 million worth of cocaine in the Caribbean Sea Thursday. Defense Secretary Robert Gates is studying ways to speed up the delivery of equipment to Iraq's military and police. Congressmen heard testimony concerning the oversight of family support programs. Also, a new web site is helping disabled veterans find jobs. Air Force planners are working on a long range approach for further development and use of unmanned aircraft systems. FRANKFORT, Ky. -- Specialists from the National Flood Insurance Program (NFIP) have scheduled two upcoming meetings in Kentucky to provide the public with an opportunity to learn more about flood insurance. MOORHEAD, Minn. -- As Minnesota rebuilds after spring floods, more than $5,367,000 is being processed for payment to eligible applicants in 28 counties to reimburse the costs of Public Assistance (PA) projects. CALCASIEU PARISH, La. -- The voluntary actions of several homeowners in Calcasieu Parish have laid the foundation for the Federal Emergency Management Agency (FEMA) and the Louisiana Recovery Authority (LRA) to provide $1.1 million to the parish for acquisition of five residential properties. TEXAS CITY, Texas -- The Federal Emergency Management Agency (FEMA) has awarded a $1.9 million hazard mitigation grant to Harris County Flood Control District No. 9 to acquire residential properties that suffered extensive damage during Hurricane Ike. The grant was obligated to the district for the acquisition of nine properties in the Idylwood Historic Subdivision. WASHINGTON, July 23, 2009 - Nearing the end of his 42-year career in the Navy, Adm. Timothy J. Keating today reflected on those who served alongside him, giving special emphasis to troops whose fates remain unknown. Keating, the commander of U.S. Pacific Command, addressed the National League of POW/MIA Families, a group that strives to account for the more than 1,750 veterans of Vietnam and other wars still missing. "We're going to do whatever it takes, with appropriate support, to have you reach some sort of conclusion in your minds and in your hearts as to where your loved one is," he said at the group's 40th anniversary annual meeting. "We're not going to rest." For the 90 days until his retirement from active duty, Keating is slated to remain at the helm of the U.S. Pacific Command in Hawaii, which also serves as headquarters of a task force responsible for POW/MIA accounting. Keating told the audience that the Joint POW/MIA Accounting Command does everything in its power to provide accountability. "We want to be able to do that last muster," he said. "If not present, then accounted for. Nothing's more important to us." The admiral paced the room and spoke without prepared notes, delivering an address filled with colorful anecdotes about his years in uniform and the personnel – ranking above, beside and below him – who shaped his military career. "I'm proud to wear a couple of these ribbons because they recommend a certain period of service, a certain caliber of men and women," he said, pointing to the patchwork of military ribbons and honors on his chest. "Now make no mistake, the kids you see around us this morning – the young professionals you see around us this morning – they're the best military, the best armed forces the world has ever known," he added. "I get to go to work with them every day, they keep us moving. "But I'm reminded of great Americans who saluted...and off they went, and they haven't come back yet," he said. Referring to the iconic black-and-white POW/MIA flag that features the silhouette of a servicemember set against a prison camp backdrop, Keating called the banner emblematic of commitment and honor. "It's a symbol of your commitment, your honor, your courage and we pay close attention to that," he told the audience. "Each of your names, and the names of your loved ones – the name of the guy or girl that causes you to be in this room today – your names will be written in gold in the pages of history. You have earned that privilege." A new web site is helping disabled veterans find jobs. A new high tech machine is helping to make a visit to the dentist a little less painful for servicemembers. The House Armed Services Subcommittee on Military Personnel is weighing testimony after meeting Wednesday concerning the oversight of family support programs. Navy divers will be among those taking part in Thursday's mission to inspect a WWII bomber discovered at the bottom of a southern California reservoir. JEFFERSON CITY, Mo. -- The Disaster Recovery Centers in Polk and Jasper Counties will transition to Disaster Loan Outreach Centers (DLOCs) on Monday, July 20. JEFFERSON CITY, Mo. -- The Disaster Recovery Center in Adair County will transition to a Disaster Loan Outreach Center (DLOC) on Monday, July 20. DNU Flash - USS Makin Island (LHD 8) performs at-sea operations while en route to the West coast. DNU Flash - USS John S. McCain (DDG 56) visits the port of Yokohama, Japan. DNU Flash - Sailors of USS George Washington (CVN 73) clean a wildlife park in Australia. DNU Flash - Marines in Iwakuni, Japan, forecast weather conditions for pilots. DNU Flash - Headlines from around the fleet: Master Chief Petty Officer of the Navy Rick West testifies in front of the House Armed Services Committee; the Navy releases new guidance on continuation boards. More information is available in NAVADMIN 211/09, which should be read in conjunction with NAVADMIN 030/09 and 096/09 on the force stabilization page at www.npc.navy.mil/CareerInfo/ForceStabilization/. Nearly half of Wisconsin's 3,300 National Guardsmen deployed to Iraq are working in that country's detention centers. President Barack Obama and the Prime Minister of Iraq, Nouri al Maliki, met Wednesday at the White House. A retired soldier shot and killed a woman inside Fort Lewis' Post Exchange Wednesday, before turning the gun on himself. The Commander of U.S. Pacific Command gives an update on his area of operations and Air Force Academy researchers travel to Japan to study the solar eclipse. Fort Lewis law enforcement is investigating a shooting at the Fort Lewis Main Post Exchange. Admiral Timothy Keating spoke to reporters Wednesday about the building of a new military base in Guam. SOUTH CHARLESTON, W.Va. -- Many West Virginia residents are indifferent to the need to purchase flood insurance because their home or rental property has never flooded. If this is your experience and you live in a low- to moderate-risk area, signing up for an inexpensive Preferred Risk Policy under the National Flood Insurance Program (NFIP) is the thing to do now. MARION, Ill. -- Hamilton and Union counties were designated eligible for federal Public Assistance (PA) today. That brings the total number of counties to eight, according to officials from the Illinois Emergency Management Agency (IEMA) and the Federal Emergency Management Agency (FEMA). The Commander of U.S. Pacific Command says preparations are being made for the day North Korean leader Kim Jong Il is no longer in charge. WASHINGTON, D.C. -- The Department of Homeland Security's Federal Emergency Management Agency (FEMA) Administrator Craig Fugate met today with North Dakota Governor John Hoeven at FEMA headquarters in Washington, D.C. Today's meeting comes on the heels of Administrator Fugate's visit to the National Governors Association Conference, where he addressed the conference on how FEMA can support governors and their citizens as we prepare for and respond to emergencies and disasters. WASHINGTON, D.C. -- This week, the Department of Homeland Security's Federal Emergency Management Agency (FEMA) Administrator Craig Fugate met with several of our nation’s governors to discuss emergency preparedness and ensure that as many resources and plans as possible are in place prior to any potential emergency. Flights on the Presidential Helicopter, Marine One, are something of a routine for the Commander-in-Chief. One of those recent flights was anything but routine for the pilot. FRANKFORT, Ky. -- The Federal Emergency Management Agency (FEMA) has obligated more than $17.8 million to help reimburse six Kentucky co-ops and rural electric cooperative corporations (RECC) for emergency response and repair costs resulting from last winter's devastating ice storm. FRANKFORT, Ky. -- Some Kentuckians affected by the severe storms and flooding that struck May 3-20 will have unmet needs even after receiving help from government disaster aid programs or insurance. The commander of U.S. Pacific Command gave a quick update on his area of operations at the Pentagon today. The new Post Nine Eleven GI Bill will replace the current Montgomery GI Bill starting August one and already the V.A. has received more than 90,000 applications. DNU Flash - USS Blue Ridge (LCC 19) celebrates its 30th anniversary. DNU Flash - Sailors and Italians hold a memorial for World War II at Naval Air Station Sigonella. DNU Flash - Students from African countries graduate from the Maritime Center of Excellence. DNU Flash - Headlines from around the fleet: Chief of Naval Operations Adm. Gary Roughead attends the National Naval Officers Association Conference; Chief of Naval Personnel Vice Adm. Mark Ferguson talks about his podcast. Afghan and coalition forces stopped an attempted suicide attack at a Forward Operating Base in eastern Afghanistan Tuesday morning. DNU Flash - Department of Defense education activity director visits Naval Support Activity Naples, Italy. DNU Flash - Aircraft Intermediate Maintenance Department, Naval Air Station Atsugi, Japan takes pride in the diversity of its Sailors. Servicemembers gathered at Barksdale Air Force Base to remember five Airmen and a physician who were killed one year ago today.